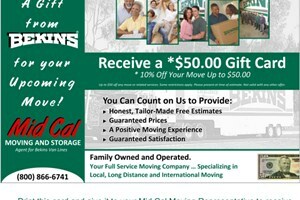 Modesto Mover Review by Darin G.
Modesto Mover Review by Richard S.
Stockton Mover Review by Liz U.
Modesto Mover Review by B J.
Mid-Cal movers did an excellent job moving me to my new home! They were polite and efficient. I have some antique furniture pieces they were extremely careful moving. I highly recommend them to my friends. Mid Cal movers are true proffesionals. The crew was courteous and very careful with our furnishings and heirlooms. I will gladly recommend them to our family and friends. Thank you for the great job.